ANGELSVOICE. 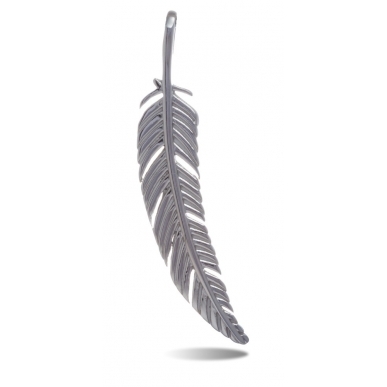 Feathers pendant in bicolored silver 925. 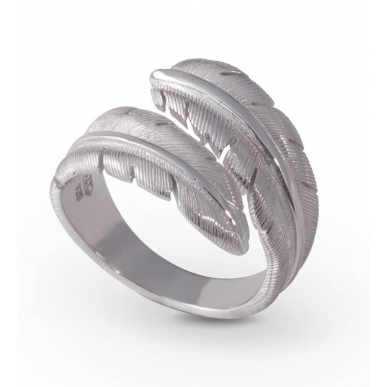 One feather in silver rhodium plated and one feather in silver rose gold plated. 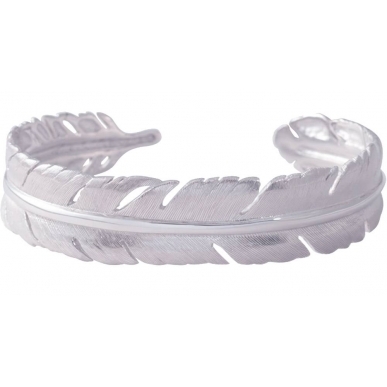 The beauty of feathers and their majestic side make them very trendy accessories. They are popular throughout the world. We find them everywhere in our daily life as jewels, decorative objects and even tattooed on people. But where does our interest come from? Much more than simple feathers, they also encompass various meanings. Associated with the concept of freedom, feathers belong to birds that are considered as free animals due to their ability to fly. They also have a spiritual side and are used in many cultures to connect with spirits and ancestors. Wearing a feather jewel here declined in the form of a bicolored silver feathers pendant rhodium plated and rose gold plated demonstrates a desire for freedom, to live freely and to stay in constant contact with our spiritual guides. When a feather crosses your path it is there to bring you an answer to your questions.